The video was kind of long but I loved customizing my candy. I can’t wait to receive it and once I do I will definitely review it. I love the concept and its a great chocolate gift idea. 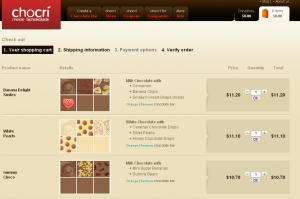 You’re allowed to design your own chocolate bar online, and in fact, add chocolate lentils, gummy bears, sugar hearts etc, to a chocolate bar. I love that you can name the bars. The total price came up to $33.00. Not bad at all for three bars customized. I’ll make a full review once I receive it in the mail! 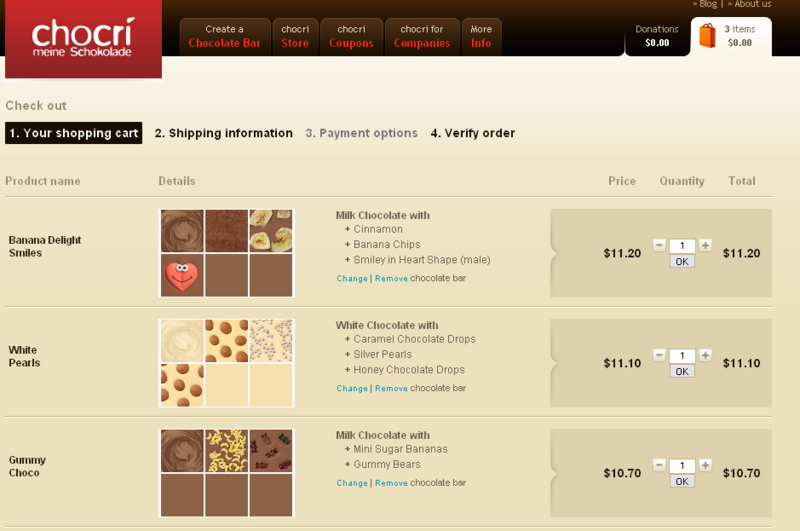 In the meantime, check out the Create My Chocolate blog and website. We’re launching in the US in January, which feels a long way to be honest, – but! If you want to be in the know allow us to send you an email when we do an invitation-only launch. Only the people who get a code from us by email can get on our website on the 5th of January, everyone else will have to wait. I’m not impressed with Chocri. I ordered a chocolate bar w/ bacon and toffee, and they sent a bar with no bacon. Rather than call or email that they were having some issue with their bacon supplier, they just sent a product that I didn’t order anyway. What’s worse, it was a Christmas gift for my wife who discovered no bacon in the thing. The fact that there was no bacon in the thing, and that it comes from some 3rd party only makes me wonder if I can’t get a chocolate bar with fresh ingredients in it, for a lot less than you pay these guys. I’m sure of it….and I’m sure it would taste better. Thumbs down for Chocri for delivering a product that was not what I ordered and a really flawed order fulfillment and customer service process for not stopping the order and/or notifying me that the order would be altered. As I’ve emailed you, Mark, many times, I’m sorry for how this played out. As I emailed you in my apology, our supplier couldn’t get the last batch of bacon through customs, so we had sold it, but couldn’t make bars with bacon. You were sent the chocolate bar without the bacon (along with your other chocolate bar) in order for it to be at least on time. You were also fully refunded for it, but obviously I can understand that you would be disappointed. I had a list of people to email that were missing bacon, but the holidays were so crazy that I literally didn’t sleep some days, and this was one of the cases where I just didn’t get the email out fast enough. I offered you a replacement as soon as we have bacon again (mid January), but didn’t receive a reply from you to that. Be assured that this was a rare exception. I need bubble gum now laters and vanilla and chocolate asap, do u still make them .